The ill-fated journey of the sacked Abia non- indigene workers started in 2011 when the previous administration initiated a policy to identify and expel those who are non-Abians but work in the state civil service. The policy urged its citizens to emulate other southeast states which had in the past transferred non- natives to their states of origin. The policy was contained in a circular entitled "Back-loading on Transfer of Non-indigenes” in the Abia State Public Service to their States of Origin, signed by the Head of Service, G.C. Adiele and subsequently approved by the government. The circular states that all non-indigenes in the public service, including local government, should be transferred to their states of origin with effect from October 1, 2011. However, it exempted those working in tertiary institutions but further directed heads of ministries, departments and agencies and the local government service commission to submit the names of all non- indigenes in their employment on or before September 1, 2011. It noted that failure to either comply or any connivance would attract serious sanctions from the government. It has been pain and agony, for the sacked non-indigenes as some have reportedly died in the process, and some incapacitated. But a "Daniel has come to judgment" in the person of the Governor of Abia State, Dr. Okezie Ikpeazu, and their burdens have been relieved. Ikpeazu, in fulfilment of his campaign promises, has reinstated 102 sacked non-indigene staff of Seconday Education Management Board, SEMB, and they have been paid their June salaries. Also, out of the 295 non-indigenes formerly in the employment of the Abia State Universal Basic Education Board (ASUBEB), 63 have been cleared for reinstatement and are to receive their July salary while the rest will also be reinstated after being cleared by the Auditor-General for the local governments. The governor's action has been trailed by series of commendations. The main stream chairman of the All Progressives Grand Alliance, APGA in the state, Prince Nnanna Ukaegbu, describes Ikpeazu as a man of his words. He said that Ikpeazu is a man to be relied on any time, any day. Few days before the elections, the main stream APGA in Abia adopted Governor Okezie Ikpeazu as their sole candidate, and one of the cardinal points was the pledge by Ikpeazu to revisit and reverse the sacking of the non- indigenes from the state civil service within the first 100 days in office. The issue, the party members said, was very dear to their heart and they pursued it vigorously. A notable civil rights activist of the Civil Liberties Organisation stock in the state, Dr. Charles Chinekezi,describes the action as"the height of responsive and responsible governance". 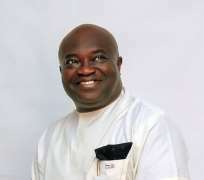 He wants Ikpeazu to continue on the track. The disengagement policy, it will be recalled attracted severe negative image for Abia State. The policy dented relationships between the sister South East states and Abia.It displaced workers from their legitimate and visible means of livelihood . Some analysts declared the action as punitive and a brazen breach and disregard to Section 42 of the 1999 Constitution .It was trailed by several litigations. One of the reasons cited by the previous administration that justified the sack was over bloated work force but Ikpeazu has is earnestly addressing the problem through the biometric workers verification exercise. Indeed, the reinstatement is a true expression of Ikpeazu's policy of making Abia a home for all and a comfortable state where the hopes and aspirations of all law- abiding residents will be guaranteed. Disclaimer: "The views/contents expressed in this article are the sole responsibility of Comrade Onuegbu Okechukwu and do not necessarily reflect those of The Nigerian Voice. The Nigerian Voice will not be responsible or liable for any inaccurate or incorrect statements contained in this article."